Studies show that a small subgroup of individuals with visual impairments are also diagnosed with autism. The following articles are a great read in understanding visual impairments and autism. Could my visual impaired client be on the autism spectrum? Is my blind child autistic? January is Braille Literacy Month. Invented by Louis Braille, at the age of 15 years old while attending the National Institute for Blind Youth in Paris. Braille lost his sight during a childhood accident at the age of 4. Braille is not a language, rather it is a code that uses symbols formed within units of space that consists of six raised dots , 2 across and 3 down. Below are resources on braille information. Path of Literacy Website for students who are blind and visually impaired. Includes teaching strategies on tactile production various braille designs. 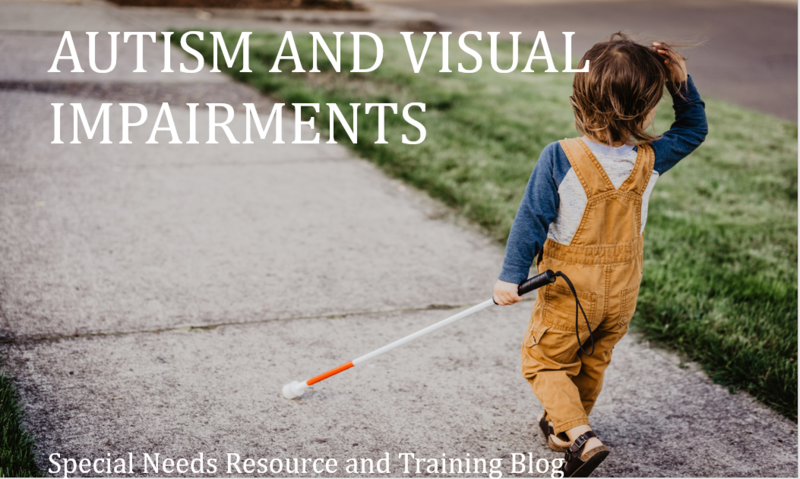 Teaching Students with Visual Impairments Provides resources necessary to teach visual impaired students including teaching strategies and professional development opportunities. Teaching beginning braille reading- Some teaching strategies. 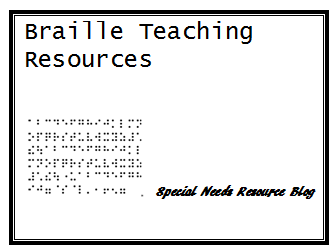 The following organizations focus on braille resources and information that serves children and adults with visual impairments including developing teaching materials. Braille Authority of North America he purpose of BANA is to promote and to facilitate the uses, teaching, and production of braille. Pursuant to this purpose, BANA will promulgate rules, make interpretations, and render opinions pertaining to braille codes and guidelines for the provisions of literary and technical materials and related forms and formats of embossed materials now in existence or to be developed in the future for the use of blind persons in North America. Braille Institute Is a non-profit organization that offers a broad range of services serving thousands of students of all ages to empower themselves to live more enriching lives with blindness and vision loss. National Braille Association National Braille Association, founded in 1945, is a non-profit organization dedicated to providing continuing education to those who prepare braille, and to providing braille materials to persons who are visually impaired. Act of March 3, 1931 Authorization of the Library of Congress to provide books for the use of adult blind residents of the United States. Public Law 89-522 Amends the Acts of March 3, 1981 and October 9, 1962 relating to the furnishing of books and other material to the blind. U.S. Code Sec. 135a– Authorizes books and sound reproduction records for blind and others with physical disabilities. Title 36, Code of federal Regulations, 701.10 Provides books in raised characters (braille) on sound reproduction recordings or in any form. The American Disability Act (ADA) requirements for effective communication in the workplace to provide accommodations for people with visual impairments are able to communicate with people effectively. For people who are blind, have vision loss, or are deaf-blind, this includes providing a qualified reader; information in large print, Braille, or electronically for use with a computer screen-reading program; or an audio recording of printed information. A “qualified” reader means someone who is able to read effectively, accurately, and impartially, using any necessary specialized vocabulary. For people who are deaf, have hearing loss, or are deaf-blind, this includes providing a qualified note taker; a qualified sign language interpreter, oral interpreter, cued-speech interpreter, or tactile interpreter; real-time captioning; written materials; or a printed script of a stock speech (such as given on a museum or historic house tour). A “qualified” interpreter means someone who is able to interpret effectively, accurately, and impartially, both receptively (i.e., understanding what the person with the disability is saying) and expressively (i.e., having the skill needed to convey information back to that person) using any necessary specialized vocabulary. For people who have speech disabilities, this may include providing a qualified speech-to-speech transliterator (a person trained to recognize unclear speech and repeat it clearly) , especially if the person will be speaking at length, such as giving testimony in court, or just taking more time to communicate with someone who uses a communication board. In some situations, keeping paper and pencil on hand so the person can write out words that staff cannot understand or simply allowing more time to communicate with someone who uses a communication board or device may provide effective communication. Staff should always listen attentively and not be afraid or embarrassed to ask the person to repeat a word or phrase they do not understand. In addition, aids and services include a wide variety of technologies including 1) assistive listening systems and devices; 2) open captioning, closed captioning, real-time captioning, and closed caption decoders and devices; 3) telephone handset amplifiers, hearing-aid compatible telephones, text telephones (TTYs) , videophones, captioned telephones, and other voice, text, and video-based telecommunications products; 4) videotext displays; 5) screen reader software, magnification software, and optical readers; 6) video description and secondary auditory programming (SAP) devices that pick up video-described audio feeds for television programs; 7) accessibility features in electronic documents and other electronic and information technology that is accessible (either independently or through assistive technology such as screen readers) . Implement a variety of tactile activities throughout the daily schedule. Students need practice not just reading braille, but also using tactile information. Put an article in a bag and have the student remove it and describe it – NOT tell you what it is. Ask them to think about questions, such as how much does it weigh, how long, what shape, what else might be like this, what is the purpose of the item, how is it different from yesterday’s item, etc. This is a good starter for lessons, introducing seasons of the year, special events, common knowledge, etc. I recall putting a boat in the bag when the movie Titanic was showing. Another example would be a stapler, and then to teach students how to use it. By third grade kids need to use one daily to help their teacher pair braille and print pages. A pen and pencil can help to teach likenesses and differences. Every fruit imaginable showed up in the bag and then we had tasting parties one year. Toys like a yo-yo, or other toys of the day can be put in the bag. Students must answer in complete sentences (no one word answers). In fact students should be taught to respond to all questions in complete sentences. All this ties into improving sentence structure, writing, common knowledge, and even social skills. January is Braille Literacy Month. Invented by Louis Braille, at the age of 15 years old while attending the National Institute for Blind Youth in Paris. Braille lost his sight during a childhood accident at the age of 4. Braille is not a language, rather it is a code that uses symbols formed within units of space that consists of six raised dots , 2 across and 3 down. A kitchen curriculum for the parents of visually impaired children. A functional skills curriculum for visual impaired children from infants to 12 on up. 3 tips for teaching young children with a visual impairment how to become strong readers. Kristen Smith describes ways to prepare young children for reading including creating story boxes, and using all the senses. 5 ways to teach your blind child how to use an iPad. This article includes a few demonstration via videos and an infographic. 10 strategies for teaching math to children with visual impairments. Hillary Kleck shares ten strategies for teaching math to children who are blind or visually impaired. Creating a theme for your braille classroom. Liz Eagan shares tips and suggestions on creating a braille station in the classroom. Fun ways to teach braille to partially sighted students. Game activities for students that are partially sighted braille readers. Ten tips to help you teach yourself braille. Wonder Baby’s article includes a braille cheat sheet and a downloadable Braille alphabet and numbers sheet. Teaching Braille Writing. Tracy Fitch outlines 5 ways to help new learners on using a braille writer. American Foundation for the Blind (AFB) is a non-profit organization that provides services for people with vision loss, information and tools for professionals who serve people with vision loss and promotes independent and healthy living.